Tips to help you find the perfect offshore fishing spot using satellite technology.. Picking a productive fishing spot has come a long way. Satellite imagery lets you research water conditions before you ever leave the dock. 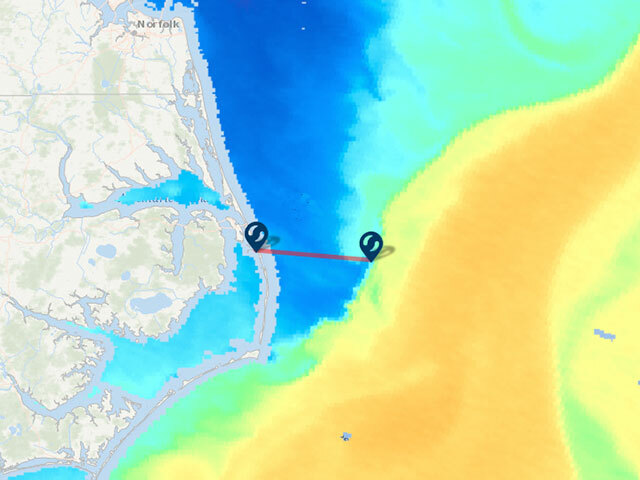 On FishTrack's SST charts you can overlay current, bathymetry and mark waypoints to plan your run. Today's tournament anglers look for any edge they can find to land in the money. Many top crews rely on satellite imagery to find that perfect spot. Photo by Southern Kingfish Association. The new FishTrack App puts powerful satellite imagery right in your hand. You can even customize and save charts for offline use when you're out of range offshore. The FishTrack team is always working to provide the latest offshore tools. The screenshot above shows FishTrack's new VIIRS high-resolution SST chart of the Gulf of Mexico. An Altimetry overlay highlights areas of upwelling that often attract bait and predatory fish. "You have to fish over fish to catch fish." I've heard that a million times. My father used to say it when we were heading out of Block Island's Great Salt Pond, running to Cox's Ledge or The Dump in search of some yellowfin or mako sharks. But it's very true. A half-mile or even a few hundred yards off the bite zone can spell the difference between putting fish on the boat or going home empty handed, and dejected. We did not know about satellite imagery back then. We simply went to a spot where we had caught fish in the past, or had heard was good. Then we looked for birds, current rips, whales and other signs of life. Sometimes it worked, sometimes it didn’t. These days, I would never go offshore without looking at a Sea Surface Temperature chart. They are so easy to access from anywhere, especially with the new FishTrack app, that I look at the charts even when I’m not going fishing. I just like to keep up on the conditions. 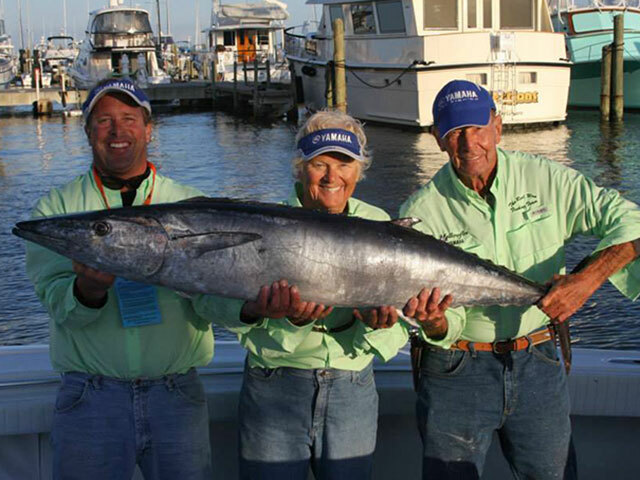 When we were at the Miami Boat Show this past February, I was talking to a guy who fishes the Southern Kingfish Association circuit and he told me that his crew would make runs upwards of 100 miles each way to fish a specific spot. He told me that he once ran from the Florida Panhandle to Louisiana to find a king mackerel. Why? Because he spotted an upwelling on FishTrack. Unlike guys who fish for tuna and billfish, he explained that kings like greener, more nutrient-rich water that gets pulled up from the bottom. The upwelling he had found was along a hump which was already a known kingfish hotspot, so they went for it. They run a 36-foot Yellowfin with triple 300 hp outboards. They were able to make the run, but it didn’t leave them much time to fish. It was a major gamble but it paid off. They caught a 50-plus pound king and won money in the tournament. I’m by no means a kingfish pro, but this story really solidified how much confidence crews have in satellite imagery. This team was willing to hedge their bets and throw down thousands of dollars in fuel and take away several hours of fishing time to run across state lines in search of a potential winning fish. So how can satellite imagery help you find fish? I get asked this question all the time, and we’ve spent a lot of time and money to develop the tools on FishTrack to help anglers find fish. If you aren’t all that experienced with SST tools, but want to learn more, FishTrack offers several resources to help you get started. Begin with the Satellite Imagery for Complete Dummies article. This will explain what to look for when examining water temps, chlorophyll levels, altimetry, current and more. From there, check out the FishTrack Fish Finder. This graph provides the ideal water temp range for the premiere game fish. It also lists the techniques used to catch these fish, and the best possible spots to find them. Once you know what you’re looking for in terms of water temps, structure and water clarity, you can wade through the FishTrack Tutorials, which provide in-depth videos on how to use the tools offered on FishTrack’s satellite imagery pages. I still watch these tutorials every now and then, because there are so many features on the fishing charts and knowing how to use every tool in the toolbox translates to a better day on the water. Finally, download the new FishTrack App so you can take all of this powerful data with you anywhere you go, including the boat! 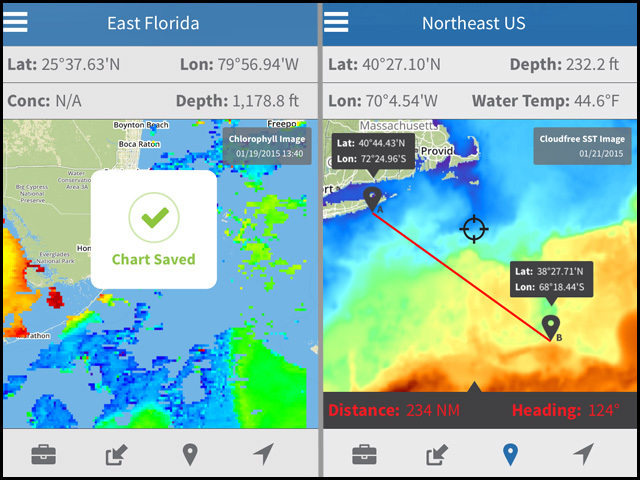 Yes, the FishTrack App has offline capabilities so you can utilize the charts and data when you’re out on the water. If all goes well, and you hook up out there, make sure to let us know and post some pictures and a quick recap in the Fishing Reports section. And if you have any questions about any of the FishTrack services, make sure to let us know and we’ll do our best to keep you on the fish.